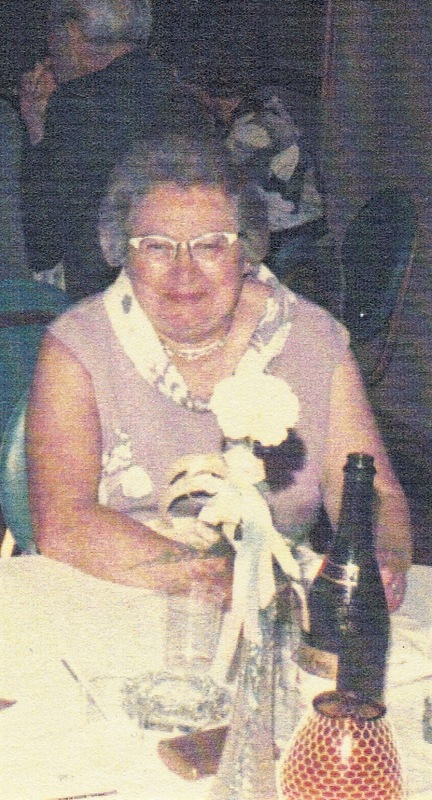 Libby on the Label: #52 Ancestors Week 19 - "Mother's Day"
#52 Ancestors Week 19 - "Mother's Day"
I've been bypassing my mom's paternal lineage. Since the prompt is Mother's Day, I'm going in! It's a case of too many Campbells. My maternal great grandmother's name was Catherine Campbell. Her parents were Archibald Campbell and Sarah Campbell. Yes, Sarah's maiden name was also Campbell. 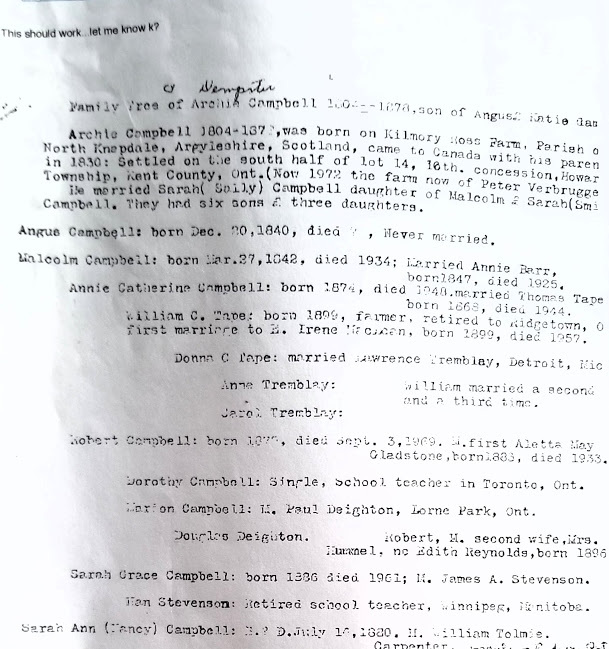 But wait... Sarah Campbell's parents were Angus Campbell and Catherine "Katie" Campbell. Just look at the screen capture, and you'll understand why I've procrastinated with this tree branch! I didn't fully understand the relationships with my mother's side of the family when I was growing up. Mom, Frances Irene Dempster, was born late in her parents life. Her mother was 44 and her father was 47. In 1926, that was really old to be having a child. She had two older siblings. Greta Kathleen (Auntie Kay), was 23 years old, and a newlywed when my mother was born. Brother Walter Lorne was 13. My maternal grandmother died 3 months after giving birth to my mother. She never came out of the hospital. My grandfather, William Lorne Dempster, was a farmer and at age 47, couldn't manage with a newborn. My mother was raised by her older sister, Auntie Kay and her husband Clarence Roy Stirling, in a very loving home. They had a child Leroy Dempster Stirling on March 11, 1928. He and my mother were just two years apart. They were raised as brother and sister, and were the best of friends their entire lives. Auntie Kay and Uncle Clarence would have two more children, Walter and Ann. I only have the vaguest of memories of my paternal grandfather, mostly of his farm. He had lots of cats that lived in the barn, and a huge cornfield where I used to play. He died when I was seven years old. I always thought of Auntie Kay and Uncle Clarence more as grandparents, and their son Leroy as my uncle. I consider Uncle Leroy's children cousins. I salute Greta Kathleen Stirling in this Mother's Day post for being a kind, warm and wonderful woman, and also a world class baker. My cousin Sarah (Sally) Stirling is the keeper of the family tree that my Uncle Clarence (her grandfather) created. She emailed me some info that detailed her grandmother's (my Auntie Kay) family roots. It is 100% in keeping with the records that are online. Clarence passed away in 1994 at the age of 90. Here are some of his notes - "Archie Campbell (1804-1878) was born on Kilmory Ross Farm, Parish of North Knapdale, Argyllshire, Scotland. He came to Canada with his parents in 1830.... He married Sarah (Sally) Campbell. They had six sons and three daughters." 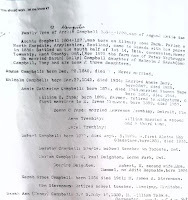 Both sets of Campbells go back to the 1700's in North Knapdale, Scotland. It's a small town in the Scottish Highlands, about a 2 hour drive north west from Glasgow. There is an amazing website here, that I've spent hours clicking through. I found this record of a rental agreement dated 1814 between between my 4th great grandfather, James Campbell, and his cousins Duncan and Donald. I feel like I got a little further than I have before, putting the correct Campbells to their perspective families, and making mental notes of the naming patterns. You could really go batty, so many of the names being the same. North Knapdale people and places feel like they could be in the television series "Outlander" to me 😊 (One of my fave shows) My ancestors were there when The Act of Proscription of 1747 came down, restraining the use of Highland dress, and completely disarming them, to squash any rebellion against the King. I'm glad I took the time to revisit these folks, and aim to dig even deeper. I noticed I have a few Campbell DNA matches. Now I have a much better idea which Campbell family they belong to and what the connection is! This will be my 8th Mother's Day as an orphan. The more time that passes, I get a clearer understanding of my mother's life and have the objectivity to see her as a person. 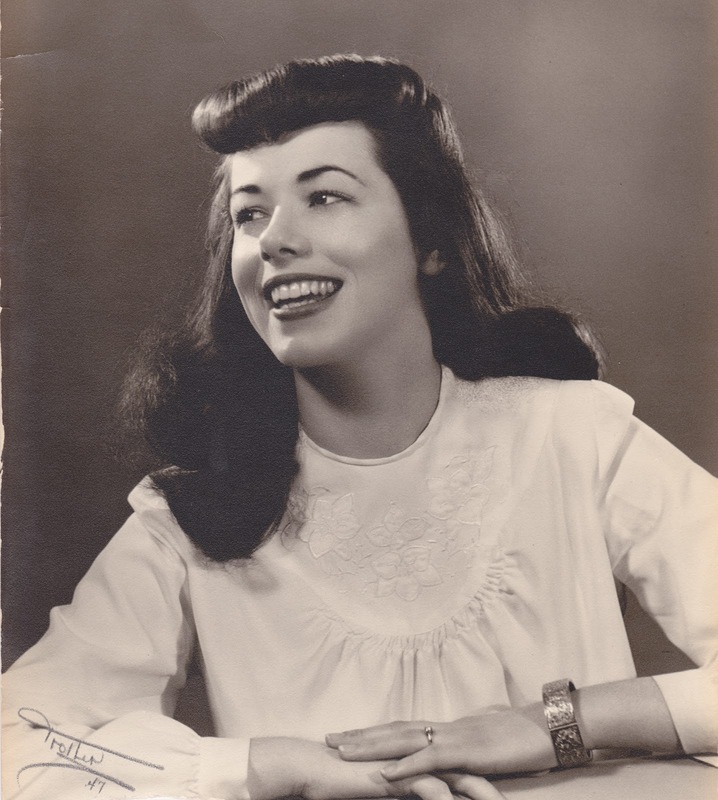 This is a picture of her in 1947 looking very glam, IMHO. It was before she married and had four kids! She was the Valedictorian at her nursing school and a keen student. She and my dad were married until my father passed away in 2003. I used to look forward to our long phone conversations on Mother's Day and other days, too.